Thomas Foster Chuck was an entrepreneurial itinerant photographer of portraits and views. Born in London, he arrived in Melbourne in 1852 and initially worked as a cabinet maker. In 1860 he became involved in the production and exhibition of a ‘Grand moving diorama of the Victorian Exploring Expedition’, a painted panorama wound around two rollers that recounted Burke and Wills’ fateful journey. By 1866 he had established a photographic studio called The London Portrait Gallery in Daylesford, where he photographed people and views. 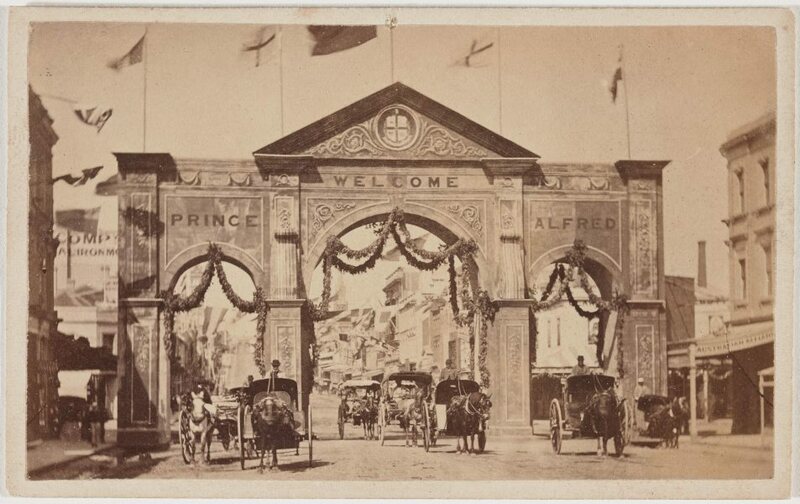 Travelling around the Western District, he took promotional photographic views of the Hampden and Mortlake shires which were exhibited at the Intercolonial Exhibition, where he also showed photographs of clouds after a heavy storm. In 1868 Chuck returned to Melbourne, establishing himself as ‘artist and photographer’ in the newly-built Royal Arcade. For three years from 1870 he collected photographs of early settlers for his magnum opus – a mosaic of 700 tiny portraits of explorers and early colonists of Victoria composed into a shield-like shape. In 1876 Chuck sold his business to Nicholas Caire and travelled to England. On his return to Melbourne he reportedly gave up photography and become an agent for the Evangelisation Society of Australasia.